UFC Fight Night 139 takes place Saturday night, Nov. 10, from Pepsi Center in Denver. 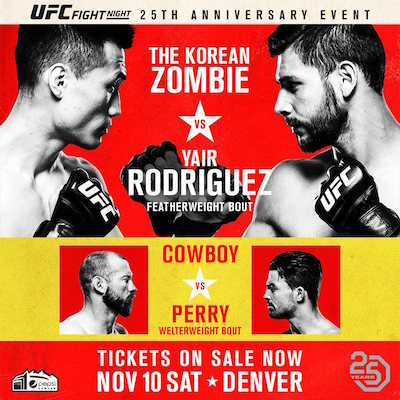 The event is headlined with the return of “The Korean Zombie” Chan Sung Jung as he faces fellow featherweight standout Yair Rodriguez. The co-main event could easily serve as the main event as fellow JacksonWink fighters Donald “Cowboy” Cerrone and “Platinum” Mike Perry settle their issues in a welterweight showdown. 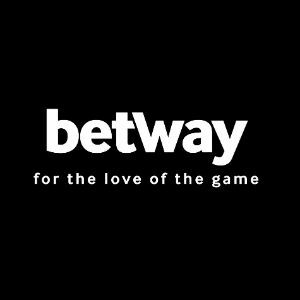 Join us here as Pro MMA Now (www.prommanow.com) will provide live results and video highlights of all the action starting with the Fight Pass prelims at 7 p.m. ET, moving to the FS1 prelims at 8 p.m. ET and the FS1 main card at 10 p.m. ET. Very controversial early stoppage by the ref as Bobby Moffett looks for a D’arce Choke against Chas Skelly. Ref stops it and after viewing the replay calls it a TKO???? Bizarre. Maycee Barber is a legit animal. Cowboy does it again with most wins and most finishes in UFC history. Beautiful finish for the veteran over a tough heavy-handed Mike Perry. Donald “Cowboy” Cerrone (34-11, 1 NC) taps Mike Perry with a first-round armbar, then celebrates with his infant son in the Octagon. Wonderful stuff. With just one second left in their five round main event, Yair Rodriguez scores the sickest KO in UFC history on the promotion’s 25th anniversary show in Denver. Spectacular ending to a real war with the Korean Zombie who likely would have taken the decision.